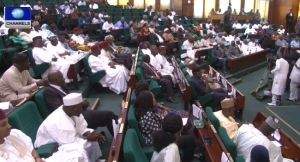 The House of Representatives has directed its Committee on Economic and Financial Crimes to conduct an audit of car dumps and immovable forfeited assets in Nigeria. This followed a motion sponsored on Tuesday by Honourable Babajimi Benson at the Lower Chamber of the National Assembly in Abuja, the Federal Capital Territory. Honourable Benson observed that the seized properties, if adequately accounted for could yield revenues for the nation. The Committee is expected to make recommendations and submit its report to the House within six weeks. The lawmakers also mandated the House Committee on Water Resources and Appropriations to include the reconstruction and rehabilitation of the Oni and Ero dams located in Ekiti State in the 2017 budget. They said this would ensure the provision of pipe-borne water for people living in the areas. In another motion, two members, Honourable Segun Adekola and Honourable Henry Archibong, proposed a clear cut framework on the deregulation of kerosene. They explained that the deregulation would help check the current hardships faced by Nigerians in getting the product.